Anyone who is fond of comics cannot forget this style of fonts. These font patterns were specifically designed for comics because of its looks, readability among pictures. Though the era has changed from hard comic book to online stored digital versions still readers love the text in comical fonts. 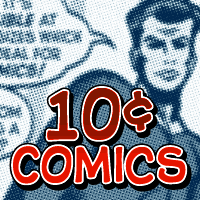 This 10 cent comics font Nate Piekos is well in demand.